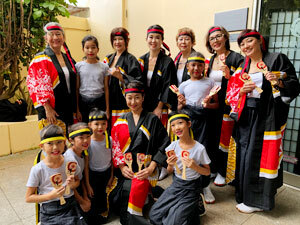 Yosakoi 道 (Tao) is a Japanese contemporary dance team based in Honolulu. The team was established in 2017. While we cherish the traditional Yosakoi dance from Kochi, Japan, we also enjoy choreographing to Japanese folk and contemporary music. Our team name, 道 (Tao), reflects the way we guide ourselves to profound life through Yosakoi.